Boston University is a private urban research institution, established in 1869, offering a breadth of undergraduate, graduate, and professional programs through its 17 Schools and Colleges and more than 250 fields of study. The $1.8 billion Boston University Endowment Portfolio is diversified across a variety of asset classes and investment strategies. 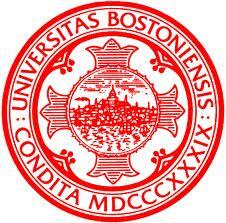 The Boston University Investment Office, formed in 2007, along with the Investment Committee of the University’s Board of Trustees, is charged with managing the University’s pooled long-term endowment assets for the current and future support of operations and with preserving the long-term purchasing power of the Endowment. It currently supports approximately 3% of the University’s operating budget. The University seeks to add a thoughtful and bright professional to join its seven person investment team in the role of Investment Analyst. Investment Analysts play an integral role on the team and are involved in portfolio analyses, investment manager due diligence, and manager monitoring efforts. The position offers an opportunity to have broad exposure to all asset classes and develop investment expertise in an intellectually demanding and collaborative environment. The Investment Analyst will report to the Chief Investment Officer and will work closely with all investment team members. The Investment Analyst’s primary responsibilities will include: (a) analyzing investment performance and portfolio positioning, (b) assisting the Directors with due diligence of prospective fund investments, ongoing monitoring of existing investments, preparation of Investment Committee materials and investment recommendations, and (c) participating in asset allocation discussions on a weekly basis. Additionally, the Investment Analysts are responsible for maintaining relationships with investment analytics vendors. The Investment Analyst will assist in enhancing and maintaining the Investment Office’s models and analytical tools used to monitor portfolio performance, exposures, cash flow and liquidity. Other duties include assisting in portfolio operations, administration and performance reporting, as well as in the maintenance of a database of key information for current and existing managers and a comments-sharing database for relevant manager updates. Additional responsibilities and special projects will be assigned as necessary. Uptick In University Enforcement Of Intellectual Property An Indication Of Stricter Enforcement Policy Or A Passing Trend?